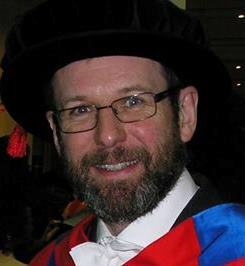 Has anyone else noticed the similarity between astronomer Professor James Dunlop and former Time Lord David Tennant? I wonder if by any chance they might be related? I got back from yesterday’s trip to a very muggy London with a raging sore throat and a brain as sluggish as an England defender on an action replay. Come to think of it, I must be as sick as a parrot. I’m sweating like a pig too, although I don’t know whether that’s a symptom of anything nasty or just because it’s still so warm and humid. Anyway, in view of my likely incoherence I thought I’d keep it brief (again) and just mention a few salient points from the last day or two. I went to London as part of my duties as External Examiner for the MSc Course in Astrophysics at Queen Mary, University of London. Of course all the proceedings are confidential so I’m not going to comment on anything in detail, except that I spent a bit of time going through the exam scripts before the Examiners’ Meeting in a room that did a very passable impersonation of a heat bath. When I was later joined by the rest of the Exam Board the temperature soared still further. Fortunately the business went relatively smoothly so nobody got too hot under the collar and after concluding the formal business, a few of us cooled off with a beer or two in the Senior Common Room.The students spend the next couple of months writing their dissertations now that the written exams are over, so we have to reconvene in October to determine the final results. I hope it’s a bit cooler by then. I couldn’t stay long at Queen Mary, however, as I had a working dinner to get to. Regular readers of this blog (both of them) may remember that I’m involved in project called Beyond Entropy which is organized by the Architectural Association School of Architecture. I’ve been working on this occasionally over the months that have passed since I first blogged about it, but deadlines are now looming and we need to accelerate our activity. Last night I met with the ever-enthusiastic Stefano Rabolli Pansera at the house of Eyal Weizman by Victoria Park in the East End, handily close to Queen Mary’s Mile End campus. Assisted by food and wine we managed to crystallise our ideas into something much more tangible than we had managed to do before on our theme of Gravitational Energy. The School has offered us expert practical assistance in making prototypes and I’m now much more optimistic about our exhibit coming together, not to mention excited at the prospect of seeing it on display at the Venice Architecture Biennale. I won’t say what we’re planning just yet, though. I’d rather wait until it’s done before unveiling it. Incidentally, here’s a link to a lecture by Eyal Weizman where he gives some interesting perspectives on architectural history. How these reductions will be achieved remains to be seen, but it seems obvious that quite a few feathers will be ruffled among the management’s plumage in some institutions and it looks like some vice chancellors will be totally plucked! Only time for a brief post today, as I’m shortly off to London for some external examining in the East End. It’s interesting that yesterday’s #SpoofJenks day generated so many contributions that the Guardian decided to get the main instigator, particle physicist Jon Butterworth, to write about it on their Science Blog. My own contribution of yesterday gets a mention there too. I have to say I found the whole thing very amusing and wholeheartedly agree with Jon Butterworth (whose original spoof started it all off) when he explained that his primary aim was more to let off steam and less to try to persuade Simon Jenkins of the error of his ways. I felt the same way. Better to poke fun back than allow him to get to you. I didn’t feel parody was necessary in Simon Jenkins’ case because his arguments are full of factual errors and non sequitur. In fact, it did occur to me that his piece might be deliberately ironic. Could one of the prime movers behind the Millennium Dome really be serious when he talks about the wastefulness of CERN? Perhaps he’s spoofed us all. But even that wouldn’t excuse his snide personal attack on Martin Rees. Anyway, as you will have noticed, I just went for straight mockery and had a good half-an-hour of lunchtime fun writing it. A few people seem to have liked my piece, but at least one blogger found it “unpleasant”. You can’t win ’em all. For what it’s worth, I still think he deserved it. In fact, I posted a considerably less vitriolic reaction to Jenkins article on Saturday, but trying to respond in rational terms was something I found very frustrating. Only a few hundred people read this blog so it’s pretty futile to try to take on a columnist from a national newspaper that’s read by hundreds of thousands. I’m not sure he’s listening anyway, as he’s written similar drivel countless times before. Far better, in my view, to join the collective piss-taking. At least it got the Guardian interested. Maybe after all this Jenkins will actually engage in a dialogue with scientists instead of merely insulting them? Perhaps. But I’m not holding my breath. This is Simon. He is 67 years old. Simon has had a tough time of it recently. He really needs your help. This is Simon’s story. Simon was quite bright as a small child, but things started to go wrong for him early on in life. He was bullied at public school by a vicious gang of “nerds” who forced him to look at their calculations. Later, a terrifying incident with a pipette in a chemistry lesson left him emotionally scarred. He started to have paranoid delusions and nightmares about Men in White Coats. More recently he began to suffer hallucinations involving Mammoths. He suspects all scientists are after his money. His behaviour is obsessive. Every gadget fills him with terror. His actions are bizarre and unpredictable. He is no longer able to cope with everyday life and needs constant supervision. Fortunately, Simon has a generous and loving friend called Alan (who edits a national newspaper). Alan noticed that Simon had severe problems and decided to care for him. Alan provided sheltered accommodation for Simon and created a job, so Simon could earn a basic living doing simple tasks, such as writing a column in The Guardian. Sadly, however, things have recently started to go wrong. Simon’s behaviour has deteriorated even further. He has become increasingly incoherent. He is unable to write his column without repeating himself over and over again. Worse, he sometimes gets out of the padded cell secure unit office Alan has provided for him, wandering about the premises foaming at the mouth and raving about the Large Hadron Collider. This is embarrassing Alan and the other people he works with. Simon has also recently been found sticking pins in a wax effigy of Lord Rees. To make matters worse, Alan’s business has started to fail. He is losing money and can no longer afford to pay for Simon’s upkeep. Alan has become depressed by his newspaper’s falling circulation and the stress of having to cope with looking after Simon. He is desperate for help. Please mark your envelope Get this Nutter off my Hands Appeal and make your cheques out to The Margaret Thatcher Home for the Bewildered (Maximum Security Divison). If you can’t afford to send money, any other gifts would be appreciated, especially crayons and colouring-in books (but not if they are about science). Thank you for your help. Have a nice day. Unless you’re a scientist. PS. You may find updates on the progress of this appeal on Twitter (look for #SpoofJenks). It’s a boiling hot day – at least by British standards – so I think it’s time to chill out in the shade of my garden with some drinks. Here’s some appropriately smooth jazz sounds from a classic performance by the wonderful Anita O’Day recorded at the Newport Jazz Festival in 1958 and used as part of the film Jazz on Summer’s Day. There are two numbers here: Sweet Georgia Brown, in three movements of contrasting style, followed by a scintillating up-tempo version of Tea for Two with its wry chase sequence that brought the house down. And doesn’t she look fabulous in that hat? Desperate for something to blog about other than the World Cup, I decided to end the working week with an evening of Opera at the Wales Millennium Centre in Cardiff Bay. The new summer season of Welsh National Opera consists of only two operas; the one that has received the most press attention – and excellent reviews – has been their new production of Wagner’s Die Meistersinger von Nürnberg starring Bryn Terfel. Although not long ago I promised to make an effort to get to grips with Wagner I’m afraid I couldn’t face the six-and-a-half hours running time and decided to give it a miss. Maybe next time. However, I couldn’t do without any fix of Grand Opera so decided to go to WNO’s production of Verdi’s Rigoletto. Rigoletto is best known for a clutch of famous set-pieces, especially the tenor arias Questa o quella and La donna e mobile, Caro Nome, a spectacular coloratura piece for a soprano, and a truly beautiful quartet Bella figlia. If you hear these joyfully exuberant pieces on their own, you will probably get quite the wrong idea about what the Opera is actually like. It’s actually one of the darkest tragedies to be found on the opera stage. The hunchback Rigoletto is employed as a sort of court jester for the Duke of Mantua, a cynical Lothario possibly made by the same firm who constructed Don Giovanni. Rigoletto entertains the Duke not so much by telling jokes but by making fun of his enemies, and sometimes the other members of the court. The decadent Duke, who apparently has difficulty keeping his trousers on, is eventually confronted by Count Monterone whose daughter the Duke has dishonoured. Rigoletto swings into action and abuses the Count who lays a curse on the hunchback. Somewhat surprisingly, the curse has a powerful effect on Rigoletto who suddenly becomes remorseful and anxious for his future. He’s been pretty good at making enemies, and feels that payback time must be coming. Thus the tragedy is set in motion, and we know something very bad is going to happen. Incidentally, there’s more than a hint of Don Giovanni, both musically and dramatically, in Count Monterone’s arrival at the Duke’s palace in Act I Scene I. I don’t know enough about Verdi to be sure, but I’m pretty convinced that it’s a deliberate homage to Mozart’s own tragic masterpiece. On his way home, Rigoletto runs into a sinister character called Sparafucile who turns out to be a professional assassin. He offers his services should they ever be needed. When Rigoletto gets home we find out that he has a beautiful daughter, Gilda, whom he adores.In this scene we see the human side of Rigoletto. He’s no longer simply grotesque and nasty. He’s a troubled and vulnerable man, coping with his deformity in the only way he knows how and doing his best to provide for and protect his daughter. He’s despised and he knows it. Rigoletto is not a hero, but he’s not really a villian either. That ambiguity plays large part in giving this opera such emotional impact. Unfortunately, Gilda is bewilderingly naive and has actually rather taken to the Duke. She sings Caro Nome about him, but it’s actually a false name he’s given her. This aria works so well in the setting of the Opera because the audience knows that the Duke is a scumbag. Only Gilda doesn’t. It turns out, though, that Sparafucile has other irons in his fire; he also pimps for his sleazy sister Maddalena. At Rigoletto’s request he lures the Duke to his pad to have his way with Maddalena. Rigoletto brings Gilda along to see the Duke’s infidelity at first hand. She’s shocked, and he sends her away while Sparafucile gets ready to top the Duke. A thunderstorm gathers. But Gilda’s so smitten with the Duke that she can’t bear to see him killed. Neither can Maddalena. He’s obviously quite a stud, this Duke. Maddalena tries to persuade Sparafucile to kill Rigoletto, when he returns with the payment, instead of the Duke. That way he’ll still get his money. In a moment of deliciously black comedy, Sparafucile refuses with words to the effect of “Do you think I’m some kind of crook?”. But Gilda returns to Sparafucile’s house in the storm, dressed in man’s clothes and pretending to be a beggar. Sparafucile doesn’t know who it is, and conceives a cunning plan. He kills her, puts her body into a sack and passes it off as the remains of the Duke. Rigoletto returns, and can’t resist looking inside the sack. Gilda isn’t quite dead, but she dies in his arms. The curse has been fulfilled. This revival of James MacDonald’s production places the action not in 19th Century Mantua but in Washington DC of the early sixties. There’s more than a hint of JFK in the Duke, his palace is the White House, the street scenes evoke West Side Story, and so on. Gilda in bobby socks works pretty well too. The problem is that it’s not obvious how Rigoletto fits into this setting, nor why people are wandering around Washington DC talking about coming from Burgundy and going to Verona. Unfortunately, Gwyn Hughes-Jones was indisposed so Shaun Dixon had to stand in at short notice as the Duke. In the circumstances he gave a creditable performance but his voice lacked the power needed to shine in the big tenor arias and he didn’t have much in the way of stage presence, either. It’s quite difficult to understand Gilda’s credulity unless the Duke possesses considerable charisma, so he was a bit of a weak point. On the other hand, baritone Simon Keenlyside was absolutely smashing as Rigoletto, and so was David Soar as a magnificently creepy Sparafucile. Even better than these was American soprano Sarah Coburn as Gilda. Caro nome is heard so often – in commercials and elsewhere – that it’s very hard for singers to do something special with it. Sarah Coburn has wonderful control but her rendition was not only a flawless exhibition of vocal gymnastics; she also invested it with a heartbreaking vulnerability completely in keeping with Gilda’s character. Her Caro nome was worth the ticket price on its own, I’d say. It was too much for the lady in the seat in front of me, though, who burst into tears half way through. I’ve wanted to post this little clip for some time, just because it’s so marvellous. I wonder what you felt as you watched it? What went through your mind? Amusement? Fascination? I’ll tell you how it was for me when I first saw it. I marvelled. Seeing the extraordinary behaviour of this incredible creature filled me with a sense of wonder. But I also began to wonder in another sense too. How did the Lyre Bird evolve its bizarre strategy? How does it learn to be such an accurate mimic? How does it produce such a fascinating variety of sounds? How can there be an evolutionary advantage in luring a potential mate to the sound of foresters and a chainsaw? The Lyre Bird deploys its resources in such an elaborate and expensive way that you might be inclined to mock it, if all it does is draw females to “look at its plumes”. I can think of quite a few blokes who adopt not-too-dissimilar strategies, if truth be told. But if you could ask a Lyre Bird it would probably answer that it does this because that’s what it does. The song defines the bird. That’s its nature. I was moved to post the clip in response to a characteristically snide and ill-informed piece by Simon Jenkins in yesterday’s Guardian. Jenkins indulges in an anti-science rant every now and again. Sometimes he has a point, in fact. But yesterday’s article was just puerile. Perhaps he had a bad experience of science at school and never got over it. I suppose I can understand why some people are cynical about scientists stepping into the public eye to proselytise about science. After all, it’s also quite easy to come up with examples of scientists who have made mistakes. Sadly, there are also cases of outright dishonesty. Science is no good because scientists are fallible. But scientists are people, no better and no worse than the rest. To err is human and all that. We shouldn’t expect scientists to be superhuman any more than we should believe the occasional megalomaniac who says they are. To many people fundamental physics is a just a load of incomprehensible gibberish, the Large Hadron Collider a monstrous waste of money, and astronomy of no greater value to the world than astrology. Any scientist trying to communicate science to the public must be trying to hoodwink them, to rob them of the schools and hospitals that their taxes should be building and sacrifice their hard-earned income on the altar of yet another phoney religion. And now the BBC is participating in this con-trick by actually broadcasting popular programmes about science that have generated huge and appreciative audiences. 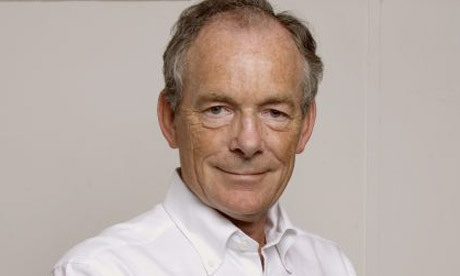 Simon Jenkins obviously feels threatened by it. He’s probably not alone. I don’t have anything like the public profile of the target of Jenkins’ vitriol, Lord Rees, but I try to do my share of science communication. I give public lectures from time to time and write popular articles, whenever I’m asked. I also answer science questions by email from the general public, and some of the pieces I post on here receive a reasonably wide distribution too. Why do I (and most of my colleagues) do all this sort of stuff? Is it because we’re after your money? Actually, no it isn’t. Not directly, anyway. I do all this stuff because, after 25 years as a scientist, I still have a sense of wonder about the universe. I want to share that as much as I can with others. Moreover, I’ve been lucky enough to find a career that allows me to get paid for indulging my scientific curiosity and I’m fully aware that it’s Joe Public that pays for me to do it. I’m happy they do so, and happier still that people will turn up on a rainy night to hear me talk about cosmology or astrophysics. I do this because I love doing science, and want other people to love it too. Scientists are wont to play the utilitarian card when asked about why the public should fund fundamental research. Lord Rees did this in his Reith Lectures, in fact. Physics has given us countless spin-offs – TV sets, digital computers, the internet, you name it – that have created wealth for UK plc out of all proportion to the modest investment it has received. If you think the British government spends too much on science, then perhaps you could try to find the excessive sum on this picture. Yes, the LHC is expensive but the cost was shared by a large number of countries and was spread over a long time. The financial burden to the UK now amounts to the cost of a cup of coffee per year for each taxpayer in the country. I’d compare this wonderful exercise in friendly international cooperation with the billions we’re about to waste on the Trident nuclear weapons programme which is being built on the assumption that international relations must involve mutual hatred. This is the sort of argument that gets politicians interested, but scientists must be wary of it. If particle physics is good because it has spin-offs that can be applied in, e.g. medicine, then why not just give the money to medical research? I’m not often put in situations where I have to answer questions like why we should spend money on astronomy or particle physics but, when I am, I always feel uncomfortable wheeling out the economic impact argument. Not because I don’t believe it’s true, but because I don’t think it’s the real reason for doing science. I know the following argument won’t cut any ice in the Treasury, but it’s what I really think as a scientist (and a human being). What makes humans different from other animals? What defines us? I don’t know what the full answer to that is, or even if it has a single answer, but I’d say one of the things that we do is ask questions and try to answer them. Science isn’t the only way we do this. There are many complementary modes of enquiry of which the scientific method is just one. Generally speaking, though, we’re curious creatures. I think the state should support science but I also think it should support the fine arts, literature, humanities and the rest, for their own sake. Because they’re things we do. They make us human. Without them we’re just like any other animal that consumes and reproduces. So the real reason why the government should support science is the song of the Lyre Bird. No, I don’t mean as an elaborate mating ritual. I don’t think physics will help you pull the birds. What I mean is that even in this materialistic, money-obsessed world we still haven’t lost the need to wonder, for the joy it brings and for the way it stimulates our minds; science doesn’t inhibit wonder, as Jenkins argues, it sparks it. Now, anyone want to see my plumes?